Santa Claus – the big man himself. He’s always ready to put in the hard work necessary to make sure that the children of the world get their gifts by the time they awaken on Christmas morning. But all of that work sure takes a toll on a guy, even Santa. It’s important that he have the right tools to do the job. From his trusty elves to his ornate sleigh, he needs to make sure all of his tools are in order at all times. That includes his boots. We wouldn’t want Santa to get back problems, would we? Then how would he deliver toys? A good pair of boots is the answer! Whether taking a walk with Mrs. Claus or delivering presents on Christmas Eve, make sure you always look your best while playing the role of Santa Claus with a pair of Santa Claus boots. After all, you don't want any little children accusing you of not being the REAL Santa. 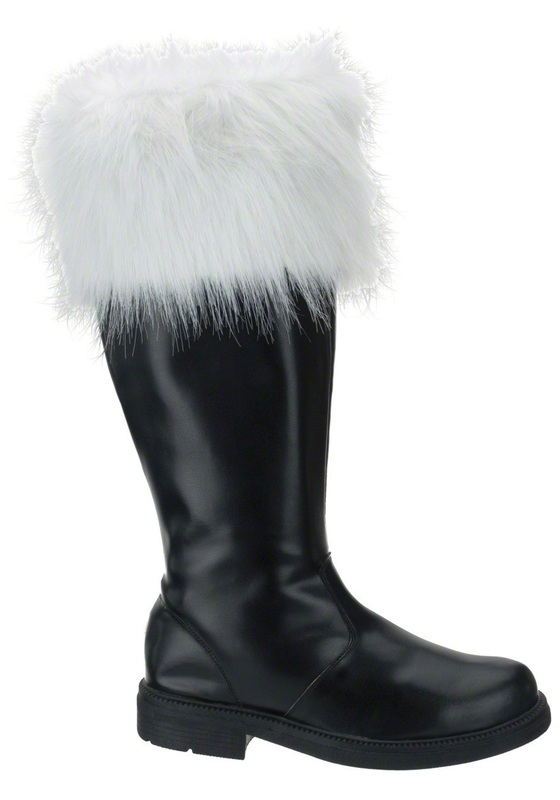 These vinyl boots have a faux fur cuff at the top to match your Santa Claus costume and have a side zipper closure so you can easily get them on and off this winter.